The high top leather boot has been done by many high end fashion brands such as Dior, Balmain, Ann D, and Rick Owens, just to name a few. They have been around for years and they have a special niche in the fashion world. I just recently bought a pair of Rick Owens military creeper boots and I totally understand why these are so popular. They go with so many different pieces of clothing and are a great staple shoe to have in your rotation. The look they typically provide is that rebel, chainsmoker type of vibe. This isn't always the case though as they have proved to be a nice dress up boot as well. 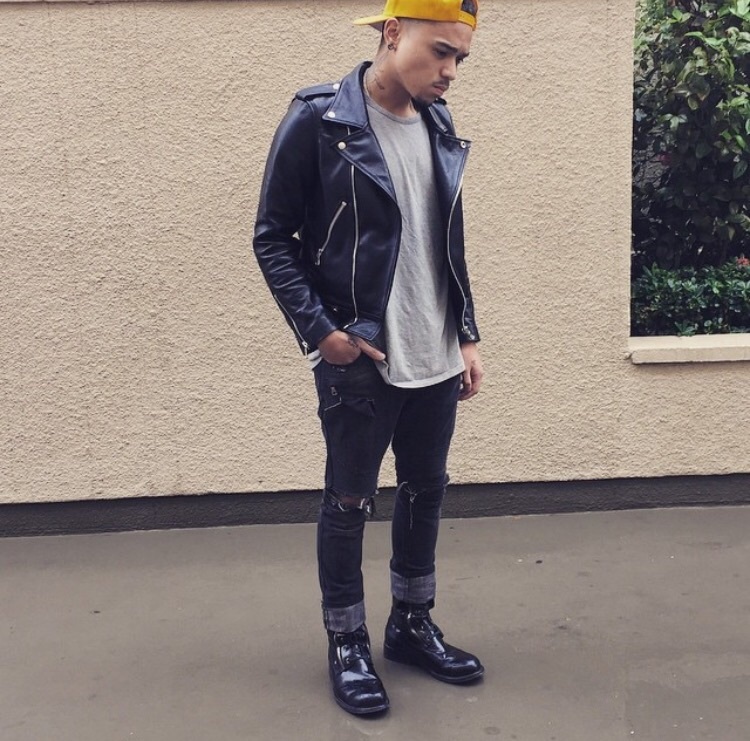 The first people that come to my mind who rocked the military boot well, is Jakob Hetzer and Rhuigi Villasenor. 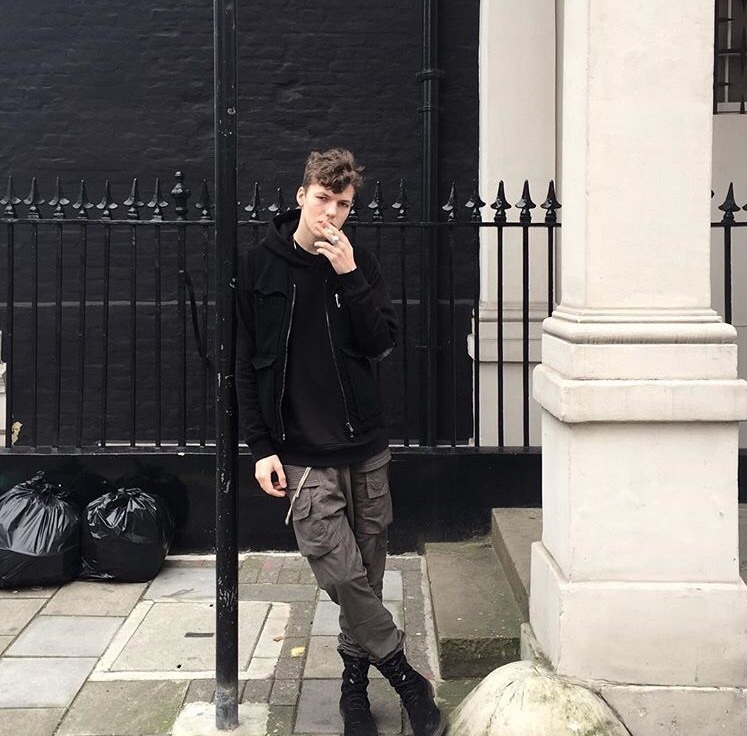 Jakob has always given off that youth, rebel vibe to me, but whether it's intended or not, I have no idea. Below, I will be showing you a couple ways to wear a black leather military boot by featuring the people who I believe wear them best. 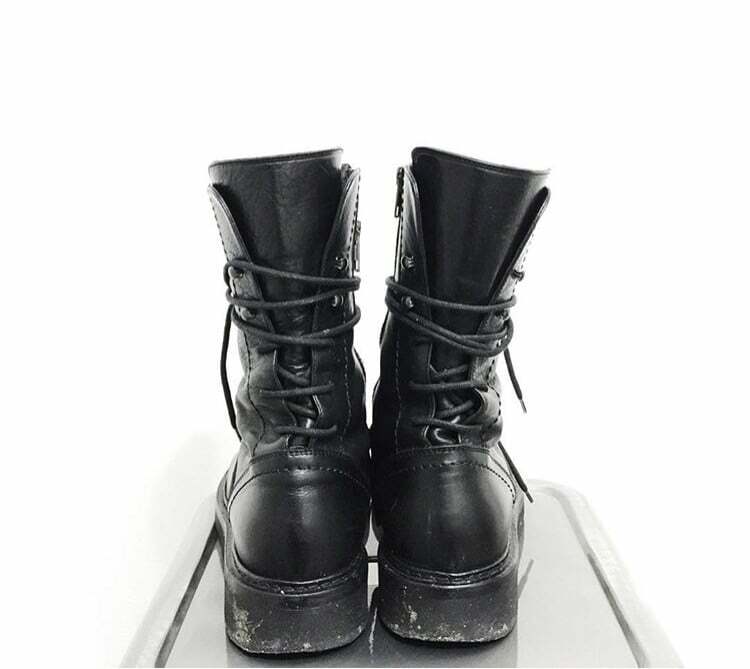 There are a lot of ways in which you can wear the military boot as you can see from these different styles above. I usually like the shorter length coats, such as a denim jacket or a leather jacket because it gives you a sleek look and it really makes the outfit about the boots. That being said, you can wear a long overcoat with them as well, it is just a personal preference. Skinny jeans or slightly baggy trousers really look great with this style of boot. Sep 22 Fashion Tragedies: Drkshdw Dunks? !